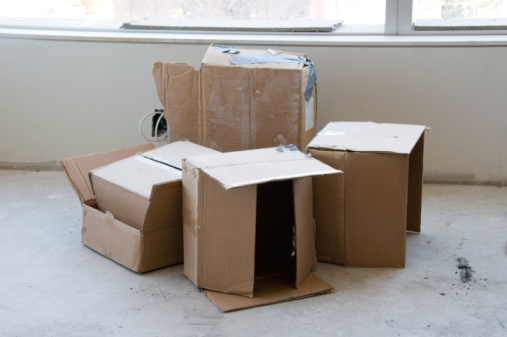 Keep your furniture and personal items safe during a move by taking a few protective measures. Expensive foam mattresses especially need extra care during a move so that they do not warp. The small price paid for supplies definitely outweighs the price of replacing a ruined mattress. Don't forget the bag and box for moving your foam mattress. Measure the mattress and purchase an appropriately sized plastic mattress bag and a box from a moving supply company. The price for a bag ranges from a few dollars to $9 and, for a box, between $9 and $35, depending upon the size of the mattress. Place the foam mattress inside the bag and box and seal it up with packing tape. Transport the mattress as flat as possible with the help of a friend. Flip the mattress sideways to fit it through doorways but keep it flat--not folded or bent. Lay the foam mattress flat on the inside of the moving van. Do not stand it up on end for more than a few minutes, to avoid the concentration of weight settling in one spot.